FIGHT TO SAVE THESE BRICK BUILDINGS. Judge Acosta ruled on April 3, 2019 that The Bureau of Development Services (BDS) that Mayor Wheeler is in charge of has violated the temporary restraining order that Judge Acosta issued on February 15, 2019. Judge Acosta issued a temporary restraining order on February 15, 2019. Restraining order prohibits the City from enforcing the placard ordinance. Owners received compliance letters on March 26, 2019 from BDS. Owners received compliance emails on March 26, 2019 from BDS. Attorneys sent a letter to City Attorneys. The City refused to correct and resend their notices three times. Attorneys sent a letter to Judge Acosta. Judge Acosta held a phone hearing with all attorneys yesterday. Judge Acosta ruled that the City violated his restraining order. We join and support the call by the NAACP-Portland Chapter to repeal the entire placard ordinance passed on Oct. 10, 2018. The ordinance is in direct conflict of the unanimous vote to not mandate involuntary placards by the City’s Advisory Committee. The ordinance failed due process by not notifying affected parties. It had no support from the committee, was staff-driven, and lacks community input and support. In addition, we ask that the process be stopped until all stakeholders can be brought to the table to find resolution to a flawed database and a process that included numerous unethical and dishonest tactics by city staff. These claims are witnessed and documented through public record requests. The public has lost all trust. We ask for repeal of the full ordinance, to stop the process and to resolve grievances and issues by meeting with Save Portland Building leaders with the goal of rebuilding trust and an amicable path forward. 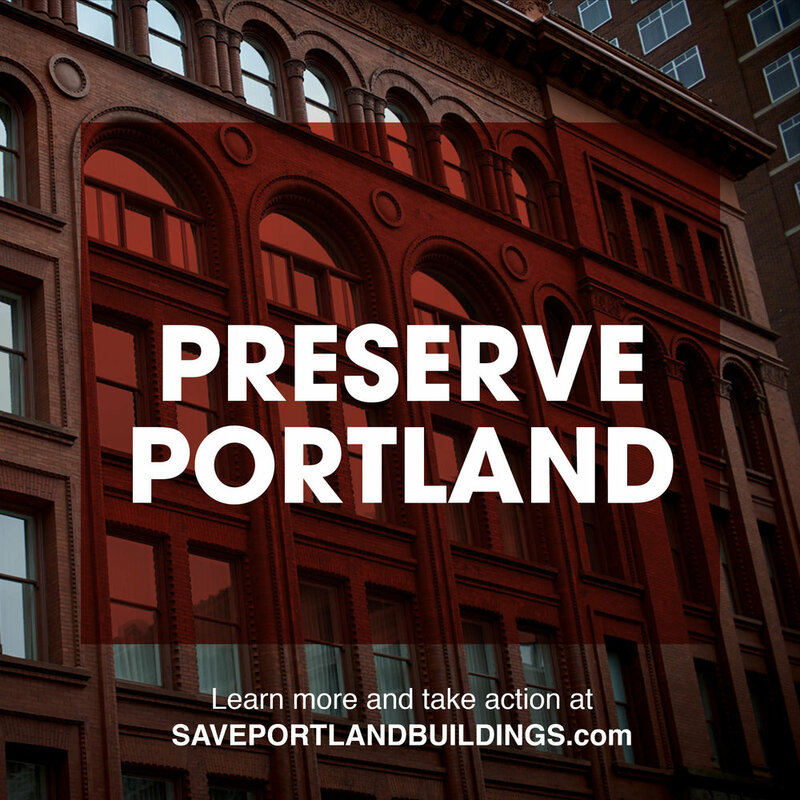 Save Portland Buildings is a grassroots, volunteer group made up of individuals and families. We’re asking city leaders to both listen and work with community housing and business owners, commercial and residential tenants and citizens for equitable, feasible and tenant-focused solutions. The City of Portland to update Title 24.85 of the Code. To listen to those who will be impacted. To understand that each building is unique and each owner has a unique financial situation. That "Mom and Pop" businesses and building owners do not have the ability to borrow or the capacity for hundreds of thousands of dollars in debt. To address each building individually and abandon this broad-brushed mandate that has no plan, funding or implementation that will result in the demolition of our beloved buildings.